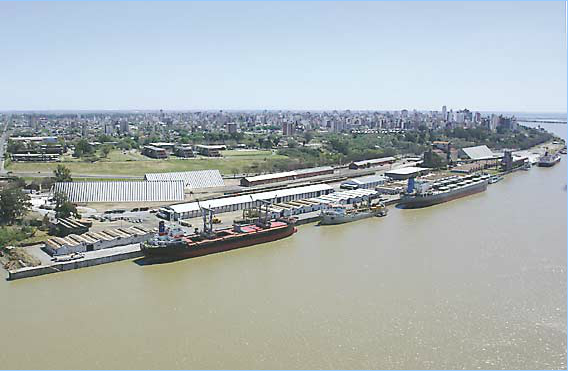 Terminal 2, (divided by the Paraguayan Free Zone into Terminal 2 North and Terminal 2 South), in conjunction with Terminal 1 (ex -New South Wharf), as said, are operated by Terminal Puerto Rosario S.A. 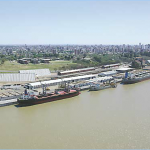 This wharfs are used for loading citrus, sugar and other bulk cargoes. (Note: There are plans to discontinue cargo operations at Terminal 2 North berth).